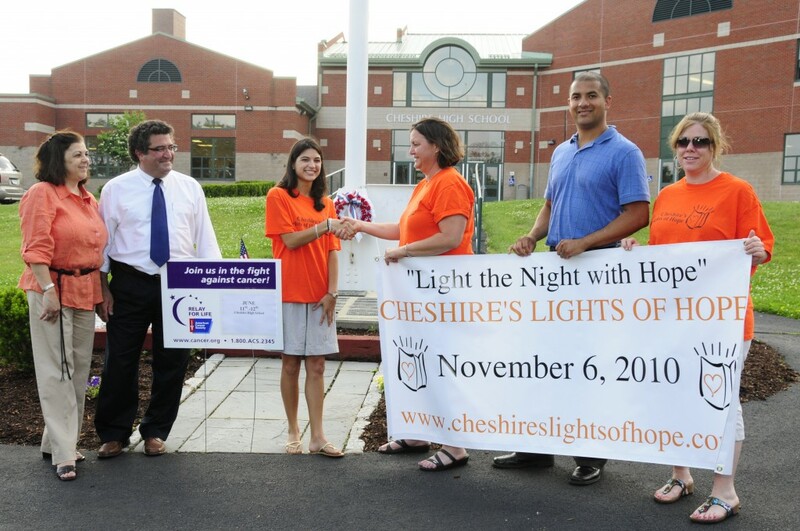 from Cheshire High School, was named the 2010 Cheshire's Lights of Hope Scholarship winner for her volunteerism in the Cheshire community. Her efforts supporting the American Cancer Society’s Relay for Life played a significant role in the scholarship committee’s selection of her application for the $2500 award. Elizabeth is joined by her parents Anna and Robert and Cheshire’s Lights of Hope Committee members Jenifer Walsh, Edmonde Bernier and Debbie Hajjar.